Party leader Jason Kenney has called the bill political gamesmanship by the NDP. A man walks past the Alberta legislature building in Edmonton, Alta. on June 23, 2015. EDMONTON — Alberta's Opposition United Conservatives sat stonefaced and silent Thursday, looking at phones and tablets as opponents accused them of misogyny and political cowardice over the government's proposed abortion clinic buffer zone bill. When it came time to vote, the United Conservatives walked out of the chamber. Party leader Jason Kenney was not in the house and his caucus said no one would be commenting. 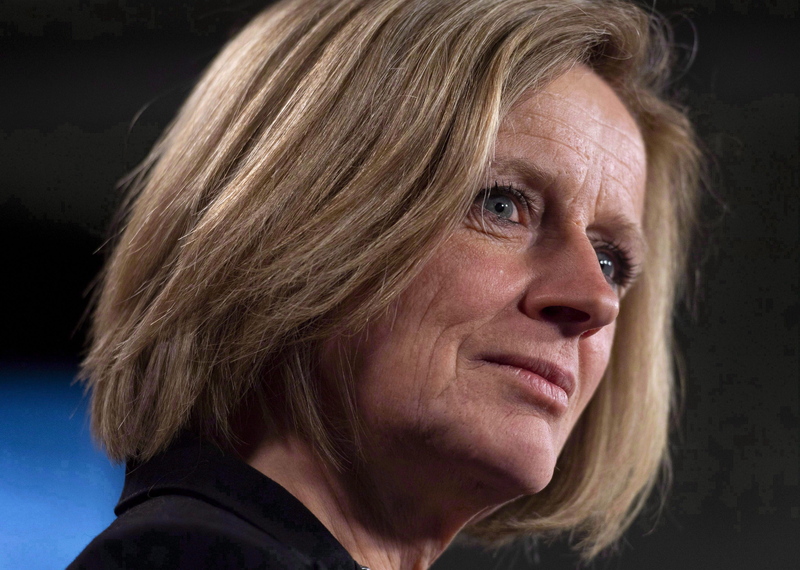 Premier Rachel Notley told reporters, "To be scared to talk to people about your position ... is absolutely ridiculous. It doesn't show leadership. It shows ducking, diving, hiding from what your real agenda is. "That shows a tremendous level of political cowardice." Alberta Premier Rachel Notley speaks during a press conference to discuss her meeting with Prime Minister Justin Trudeau and B.C. Premier John Horgan on the deadlock over Kinder Morgan's Trans Mountain pipeline expansion, on Parliament Hill in Ottawa on Sunday, April 15, 2018. Deputy Premier Sarah Hoffman told the house it was cruel irony that the United Conservative members come to work every day surrounded by security in the legislature but would not vote to extend a modicum of the same protection to women exercising their medical rights. "We're asking for them to have some safety, some protection and some dignity," said Hoffman. The bill would create 50-metre zones, tied to hefty fines, around abortion clinics to keep away those who would harass clinic patients and staff. Alberta's two main abortion clinics, in Edmonton and Calgary, already have civil restraining orders in place, but clinic officials say the protesters ignore them. The bill was voted on twice Thursday. About eight to 10 members were present on the UCP side to listen to debate in the morning and afternoon, but all left the chamber when the votes were called. 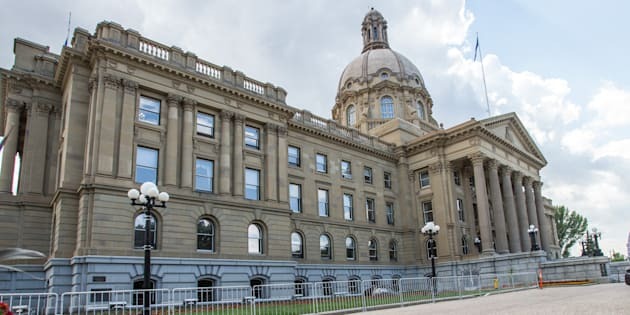 The first vote was on a motion by Independent MLA Derek Fildebrandt, a former UCP member, who was turfed from caucus in a disagreement with Kenney. Fildebrandt said that while the abuse at the clinics is intolerable, the bill should be pulled and overhauled to broaden the no-abuse zone to other public venues as well. The NDP defeated the motion, but just before the vote Fildebrandt, scanning the sea of empty chairs to his right, elicited laughs from the NDP when he shouted across the aisle, "We should pass (the amendment) just to screw with them (the UCP)!" When the bill was voted on at second reading, Fildebrandt was the lone dissenter. After shouting "Nay" to the bill, he again scanned the void on his side of the chamber and then playfully announced himself as "Leader of the Opposition" to more laughs and desk-thumping. The Alberta Party, the Liberals and Independent PC member Richard Starke also voted for the bill in second reading, with more debate still to come. Alberta Party house leader Greg Clark said, "They (the UCP) are not doing their job as MLAs. If they want to vote against Bill 9 they should have the guts to do that. Walking out is not representing their constituents." NDP backbencher Robyn Luff told the house, "People who oppose this are fundamentally opposing women and women's rights. "It's like, 'Your misogyny is showing.'" After the second vote, NDP caucus shouted "Shame" as the UCP members immediately re-entered the chamber. The bill has become a political wedge between Kenney's UCP and Notley's NDP. Kenney is a longtime abortion critic but has said he won't legislate on it. He has called the buffer zone bill political gamesmanship by the NDP and has said he and his members will not participate. Kenney has said existing court protections suffice.